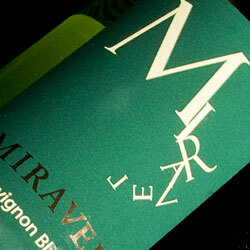 Join us, Thursday, June 13, between 5:00 and 8:00 p.m. as we welcome Taso Fragopoulos of River Horse Wine Imports who will be pouring tastes of two South African wines which are brand new to our shelves and great choices for Summer-Drinking: Miravel Sauvignon Blanc and Audacia Merlot. This is everything you expect from a Sauvignon Blanc – crisp, refreshing acidity, bright citrus fruits, and just the right amount of peppery green notes. Grown on northeast facing slopes (in the Southern Hempishere the sun tracks across the north side of the sky) in the Stellenbosch region, this is a great warm-weather wine. 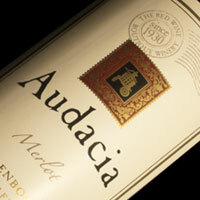 Audacia is a 32 hectare farm/vineyard/winery in the Stellenbosch region producing a variety of quality red wines from mainly traditional Bordeaux varieties as well as Shiraz. The label on this supple and balanced 100% Merlot depicts the small basket press used to crush the first grapes grown on the property in the 1930s.